Penny Stocks are usually priced below a dollar and trading with them is fickle and risky game. While Penny stocks look like they follow the “more bang for your buck” principle, having a lot of penny stocks is very risky. Penny stocks are also referred to as small caps and micro caps. As with all trading, penny stock trading has its ups and downs. Penny stocks can give your large profits over a short time; they can also give you huge losses in the same short time. Because of the high risks and alluring prices of penny stocks traders should be mindful of a few things. If you see that there are stocks for less than a cent, you shouldn’t invest. 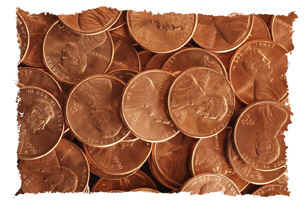 In the penny stock market, any thing less than a penny isn’t worth investing. You will never gain anything from a stock under a penny. In fact, it is just like the regular stock market except you buy stocks for much less, that’s why you should treat the penny stock market like any other investment. You need to know every thing and I repeat EVERYTHING about the company and the stock that you are purchasing. With proper investing, you should be able to benefit from quick gains from the penny stock market. So be careful when buying stocks that have uneven ownership distribution. The only way to be successful with the penny stock market is to know what companies to invest in through research. Research is key to any investment. The penny stock market can give you a good investment and some money, but you need to know when to sell and when to buy. You need to realize when you are in a risk. The penny stock market, like any stock market is very tricky. It’s more of trial and error than anything. That’s why you need to have trusted advisers and know where to get the good research on your penny stock. Penny stocks are often associated with corporations with little history and information out about them. Getting on at the bottom floor can sometimes be a good thing, leaving you with high profits but if you make a mistake it can leave you with high losses.